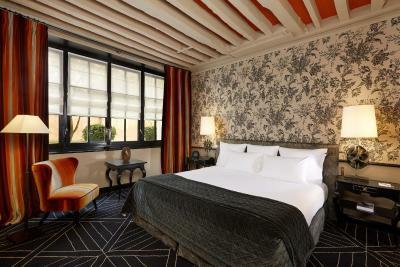 Lock in a great price for Le Pavillon de la Reine & Spa – rated 9 by recent guests! 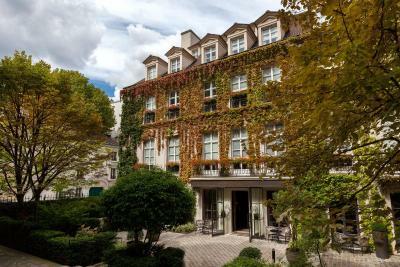 Beautiful hotel in the perfect location, however, the staff made our stay there particularly memorable. Stephanie, Yaseen, Etienne, Claire, Rudi, Arnol (wait staff, front desk personnel, concierge) and the many housekeepers and delivery staff were kind, personable and very helpful. 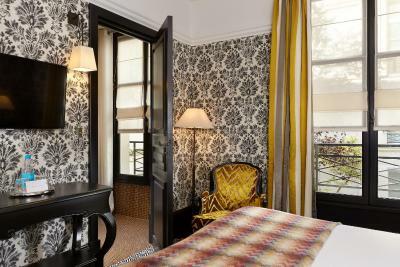 This hotel is ideally located , the rooms are larger than most in Paris and beautifully appointed. 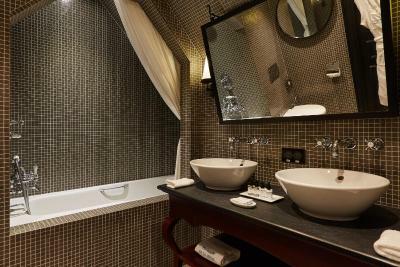 Bathrooms are fabulous and well appointed with great showers! 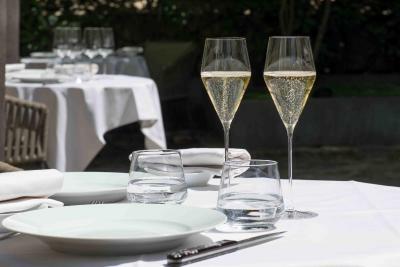 The honor bar , the new restaurant and outside seating area creat a charming and private atmosphere that one would expect her this hotel. 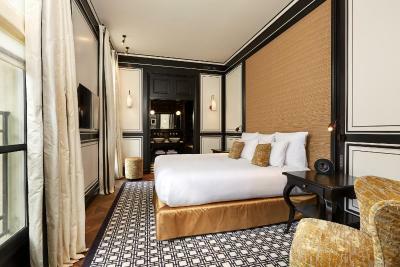 Luxurious and quaint boutique hotel in the Marais. 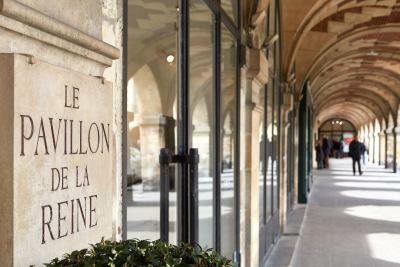 Best location, right on Place des Vosges. 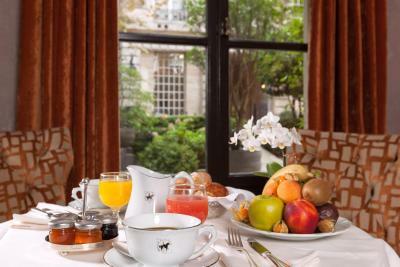 Rooms are very comfortable, spa is amazing with a full gym (very rare for paris) and breakfast is delicious as well. Bed was perhaps the most comfortable i’ve ever slept in. 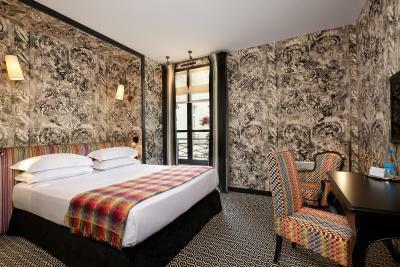 Super quiet room....in the best location in Paris. Can’t beat it. 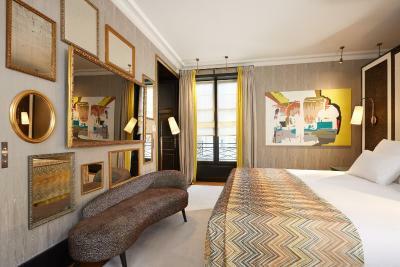 My favorite place to stay in paris whether business or pleasure. 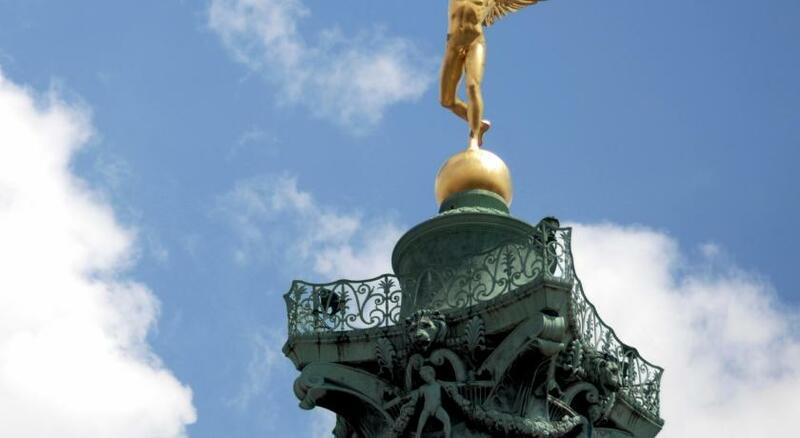 Beautiful building, perfect location in old walkable paris and great staff. 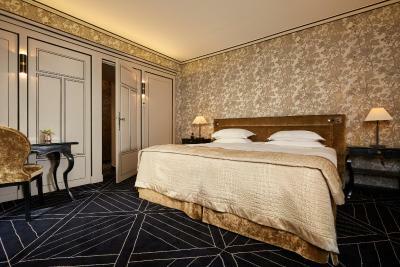 Rooms are luxurious and quiet. 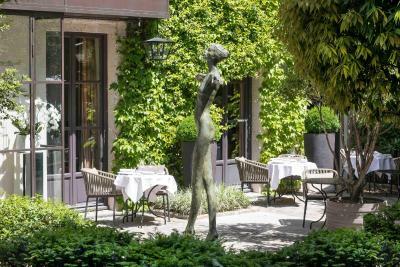 Amazing breakfast in gorgeous courtyard or library. The hotel is a firm favourite. It feels like staying in a very grand house. 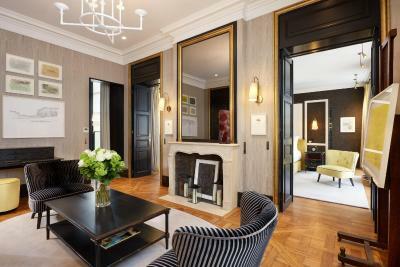 The setting is idyllic and the décor is very chic and comfortable. If you want understated elegance in Paris, this is the place to be. The staff are always very friendly. The honesty bar is such an unexpected thing to have these days in a hotel but so nice. It is hard to see how it could be improved. Well done to all the staff. 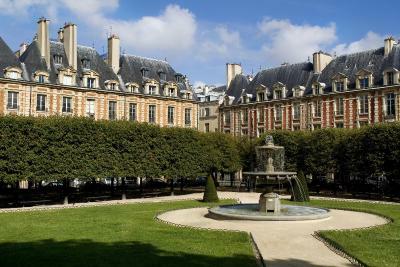 The location on the Place de Vosges is incredible. 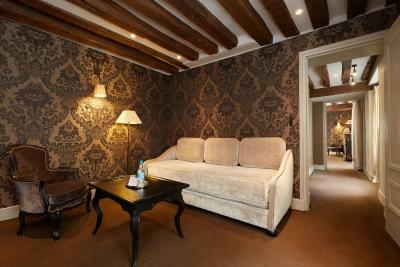 The hotel is in a historic building with a private courtyard area where guests can have drinks, coffee etc. Great "honor bar" for drinks and wine in the lobby. 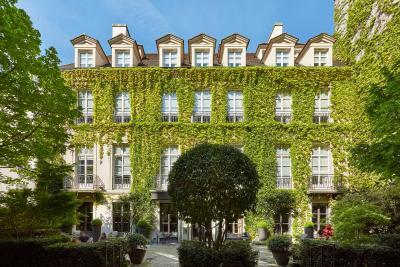 Located on the famous Place des Vosges in the Marais, this luxurious hotel offers guests free access to the spa and fitness center with a hot tub and hammam. 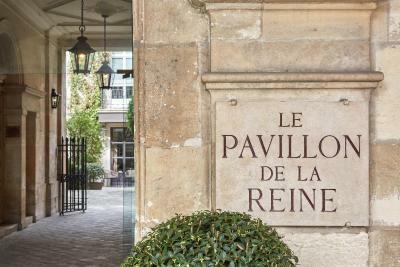 Le Pavillon de la Reine & Spa provides free private parking and the Louver Museum is 15 minutes away via public transport. 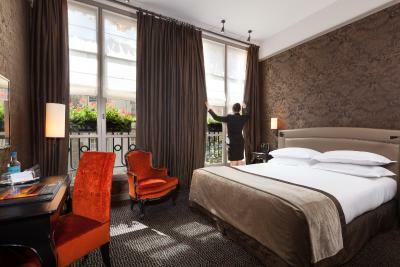 Le Pavillon de la Reine & Spa offers elegant and air-conditioned rooms with free WiFi access. 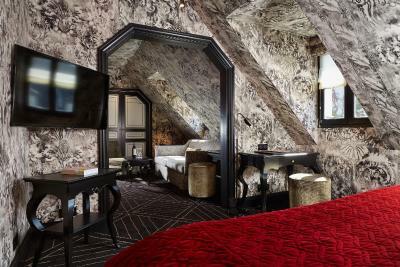 Each is individually decorated and equipped with a flat-screen TV with cable channels and a mini-bar. 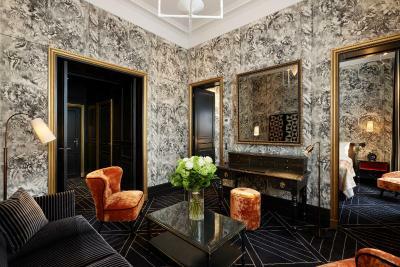 All rooms are serviced by a elevator. 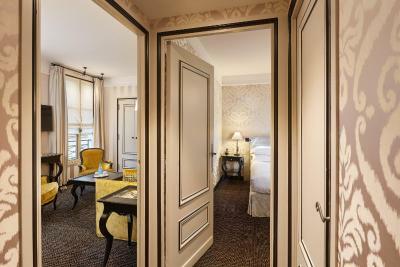 Guests have a choice between a buffet breakfast served in the lobby and a continental breakfast served in their room. Room service is also available for snacks and drinks. 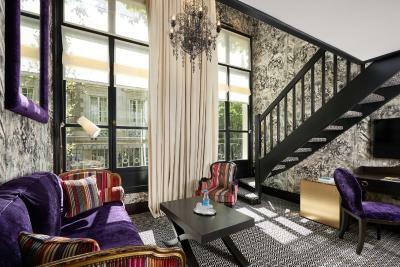 Le Pavillon de la Reine & Spa provides a private lounge and bar, as well as a concierge and valet parking service. Guests have access to a business center with internet access, and the reception is open 24 hours a day. 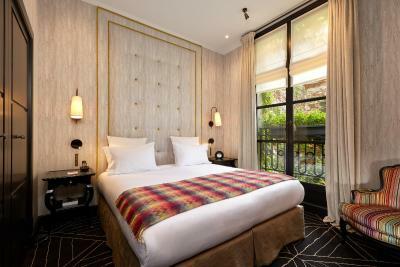 Le Pavillon de la Reine & Spa is just a few feet from Victor Hugo’s house and the Place de la Bastille is a 5-minute walk away. 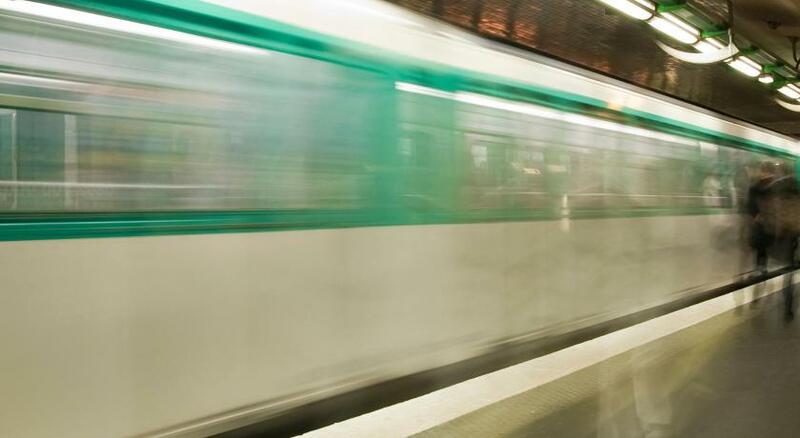 The Chemin Vert Metro Station is 1,500 feet from the hotel and gives direct access to Opéra Garnier. 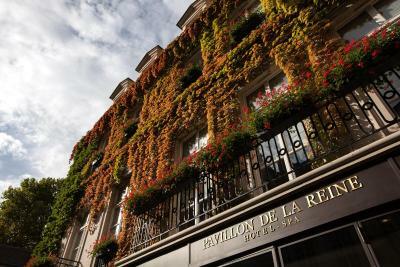 When would you like to stay at Le Pavillon de la Reine & Spa? 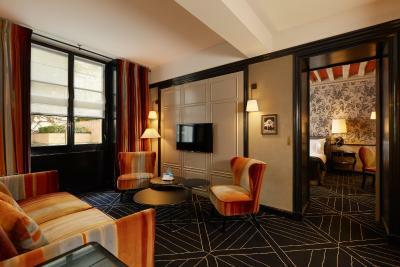 The spacious Junior Suite features a seating area and a flat-screen TV with cable channels. 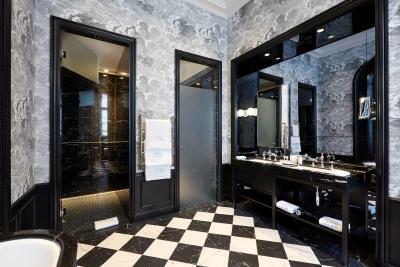 The bathroom features free toiletries and bathrobes. 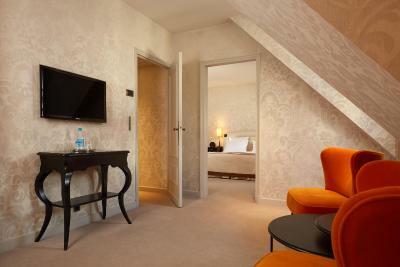 This room can accommodate an extra bed or baby cot. 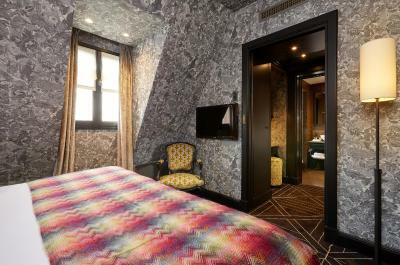 This air-conditioned room features soundproofing and a flat-screen TV with cable channels. The bathroom has bathrobes and free toiletries. 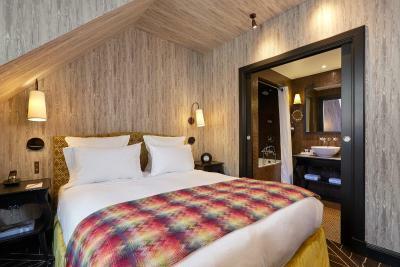 This air-conditioned and soundproofed room features a flat-screen TV with cable channels. The bathroom has bathrobes and free toiletries. This room cannot accommodate any baby cots or extra beds. 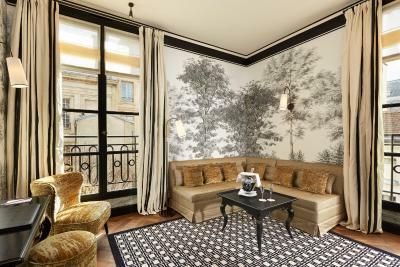 With views of the street or the courtyard, this spacious air-conditioned suite offers a seating area, a dressing room and high ceilings. One of the suites includes a kitchenette. 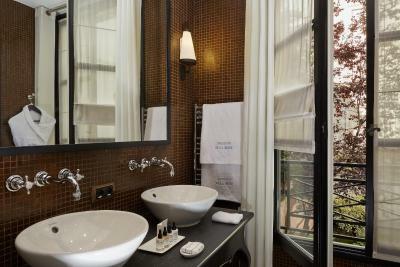 Composed of 2 bedrooms, this spacious suite has a sitting area and 2 bathrooms with a shower and a bathtub. Please note that this room cannot accommodate any baby cots or extra beds. 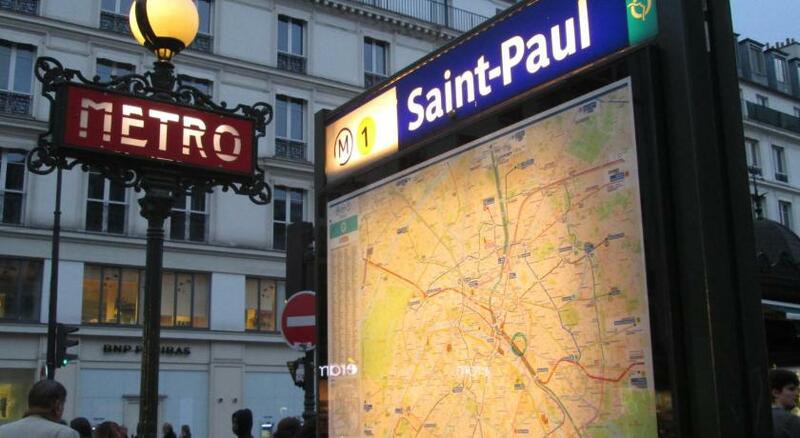 Hotel surroundings – This neighborhood is a great choice for travelers interested in food, art and culture – Check location Excellent location – show map Guests loved walking around the neighborhood! 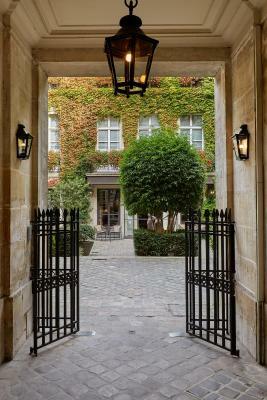 House Rules Le Pavillon de la Reine & Spa takes special requests – add in the next step! Le Pavillon de la Reine &amp; Spa accepts these cards and reserves the right to temporarily hold an amount prior to arrival. Le Pavillon de la Reine & Spa accepts these cards and reserves the right to temporarily hold an amount prior to arrival. Please note that a pre-authorization of the first night will be made on your credit card before arrival. The lobby decor felt a bit design dated . The shower faucets were difficult and faulty. The location was ideal! The architecture was lovely. The staff was very courteous . The spa was a little under whelming, but a nice bonus if you're not counting on it. 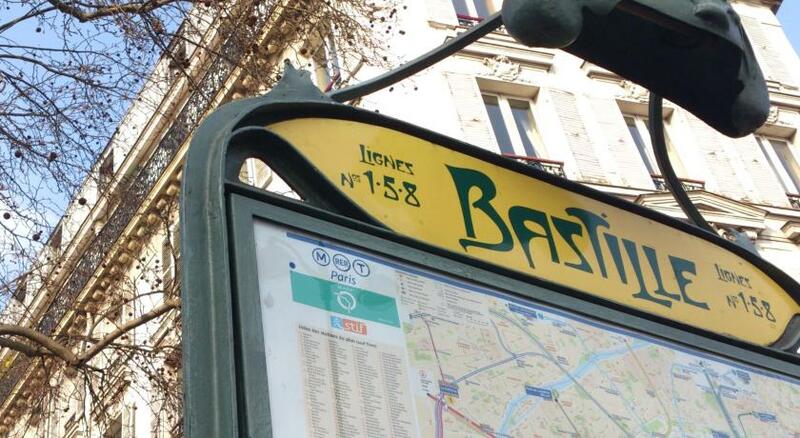 Honesty bar which cost more than the most touristy bars in Paris! Rather shocked to pay 14 euros for a glass of champagne I poured myself. 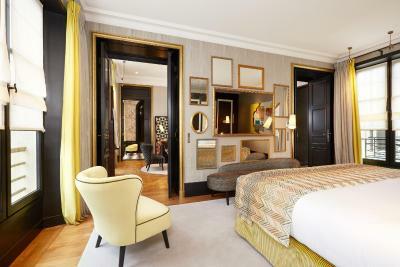 The bedroom was a little tired and could have been more luxurious. For this money you can get a lot better, as they call it "junior suites", ours was in our opinion outdated and not to be called a "junior suite" Breakfast was not wau either, often to wait for filling up the buffet again and a double expresso should not be served in Paris in a big cup for chocolate chaud. 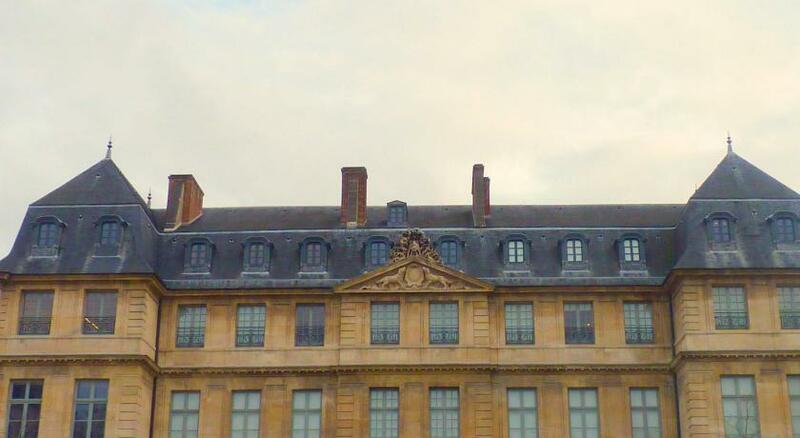 The location for us is top, we love the Marais but not again in Le Pavillon de la Reine. The Hotel was immaculate, the staff could not do enough to assist us. Room was beautiful and very comfortable for us. Will most certainly return. The location is amazing!! The staff is attentive and helpful. The building is quiet and the food, though expensive, was amazing!